The other day I ran into a friend who had just had her second child the month before. 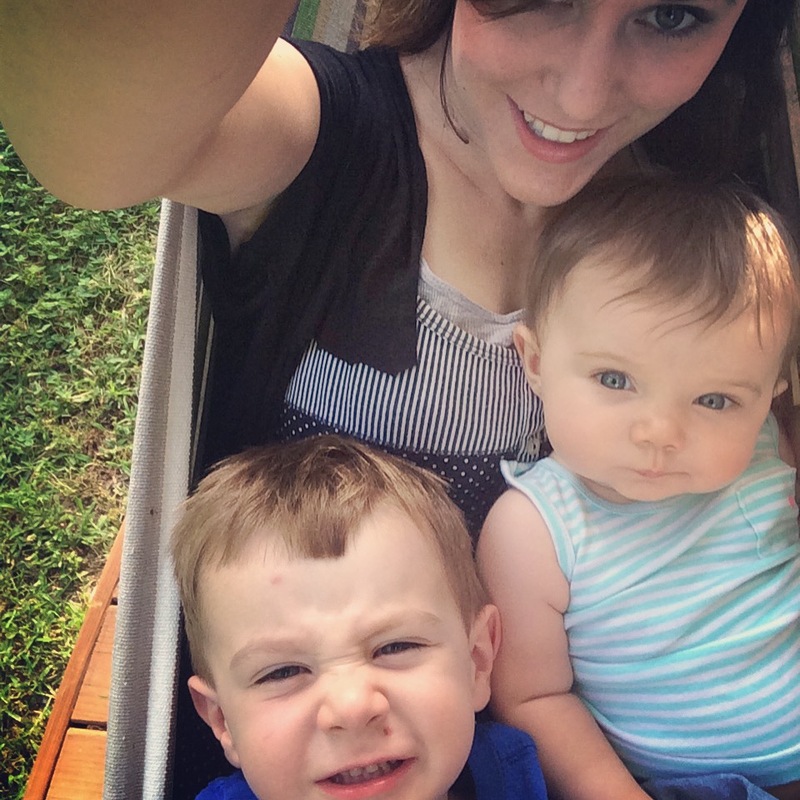 In her eyes I saw the all-too-familiar stress and panic that adding a second child brings. She spoke of the adjustment being hard, even though her second was a much easier baby. She talked of going from being able to get out of the house in 15 minutes to it now taking an hour and a half…of trying to figure out how to be a mom to both kids. Going from one kid to two kids isn’t easy. I know I had the same look in my eyes those first few months. No babywearing apparatus, freezer stocked full of meals, or Netflix subscription can really prepare you. Getting out of the house alone with both children will most likely induce a stress-induced panic attack. No matter how hard you plan, you will have those moments of chasing your toddler across the parking lot, forgetting to bring a change of clothes for both children, and having to drag both children out of somewhere because they are both crying (the baby because she’s had enough, the toddler because he wasn’t ready to go). And don’t forget having to deal with your potty training toddler having an accident and your newborn having a blowout at the same exact time. Staying at home isn’t much easier. There will be nights where your children will literally just trade off which hour they wake you up with a need, and you’ll get up in the morning wondering if you ever actually fell asleep. Your first child, whether accidentally or purposefully, will kick the baby in the head, try to feed the newborn a cracker, or eve n drag the baby 10 feet across the floor while you’re just trying to brush your teeth for once. Your toddler will find the candy you have stashed in the cabinet when they know you are stuck nursing the baby. There will be many, many times when you have to let one child cry while you tend to the other child’s needs…and picking which child to take care of first is never an easy choice. You’ll be on the verge of a nervous breakdown and need to get out of the house…until you realize how stressful getting out of the house will be. But, Mama, don’t lose hope. The other day as I looked into my friends eyes it suddenly dawned on me that that look had begun to fade in my own eyes. No, having two kids never really gets easier…just more normal. Getting out of the house with my toddler and now eight-month-old no longer produces extreme anxiety. I can even leave the house with both in under 20 minutes. At home, I can actually clean up the house and make dinner most days. It’s still hard. 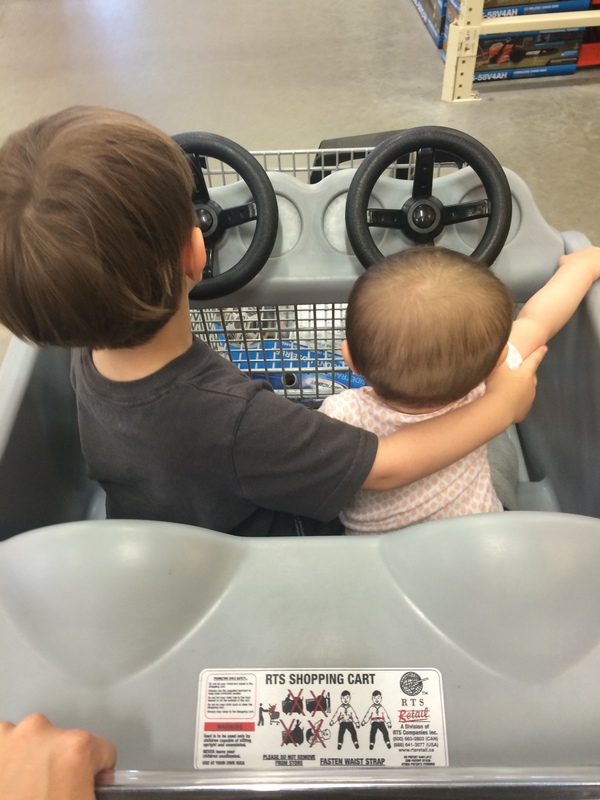 I’m still constantly reminding my older child to be more gentle with the baby. I still have mornings where I wonder if I actually got any sleep the night before, and now with the baby getting more mobile we’re entering into a basically constant lesson in sharing toys. But trust me when I say that there are good times that will make all the hard times worth it. There will be times that will fill your heart so full that you’ll feel like it just might burst. There will come a time when you’ll hear your children blowing raspberries at each other and giggling in the back seat. One morning you’ll awaken to hear your toddler over the baby monitor sweetly saying to his sister, “Did you wake up, Sister? Did you wake up, Stinky Chunks?” You’ll watch your baby laugh and giggle because she thinks her big brother is the funniest, coolest person ever. And your love for them will only grow and grow. So, Mama, don’t worry. Two will be hard…but it will be worth it.